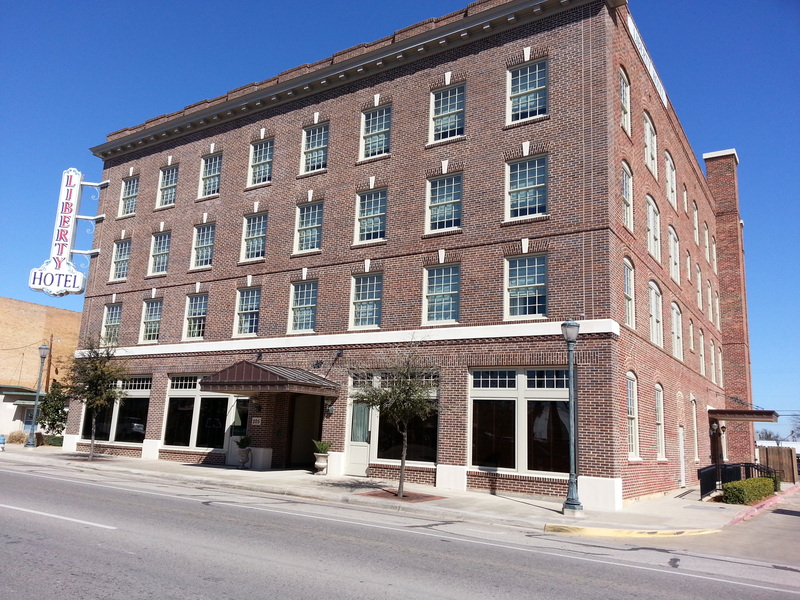 On February 18, 2011, my mom, sister Karan, niece Caitlin and niece Shelby spent the night in the Liberty Hotel in Cleburne Texas. The stayed in room 412. 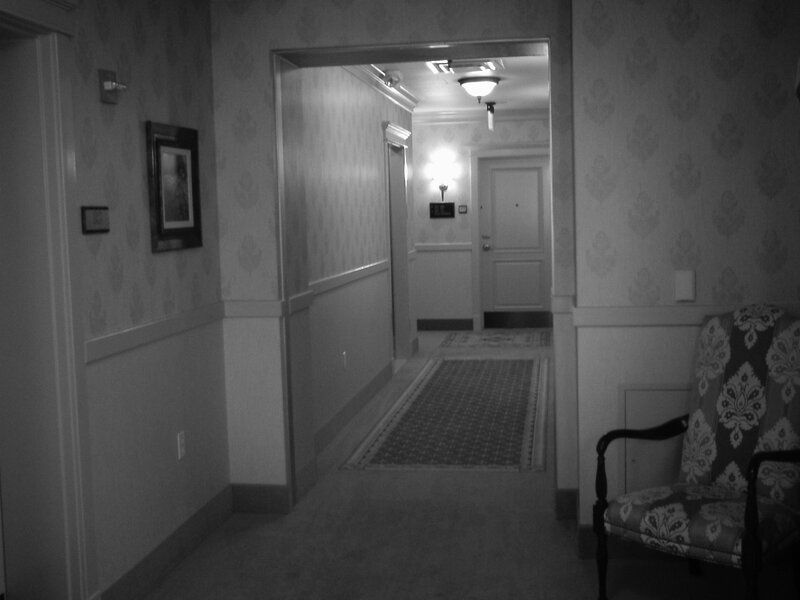 We had heard that room 410 was the most haunted and it was just down the hall. My wife, Jo, joined us for supper and then went home to Burleson, where we live. I went back up to the 4th floor and spent some time outside room 410. I was using my directional EMF detector and found a cylindrical magnetic field outside room 410. It was about 1.5 feet in diameter and extended to 1 foot short of the ceiling and 1 foot short of the floor. It was free floating and was moving toward the door, then back away from it. I went to room 412 and told everyone that they needed to come into the hall and see what I found. I showed them the magnetic field and we looked around for a bit and went back to 412. I had a recorder going during our time outside room 410 and played my recording back. Near the door I picked up a strange voice saying “Mine, mine…unintelligible” We talked over the voice, so could not hear what was said after the “mine, mine”. Down the hall from room 410 is an elevator. 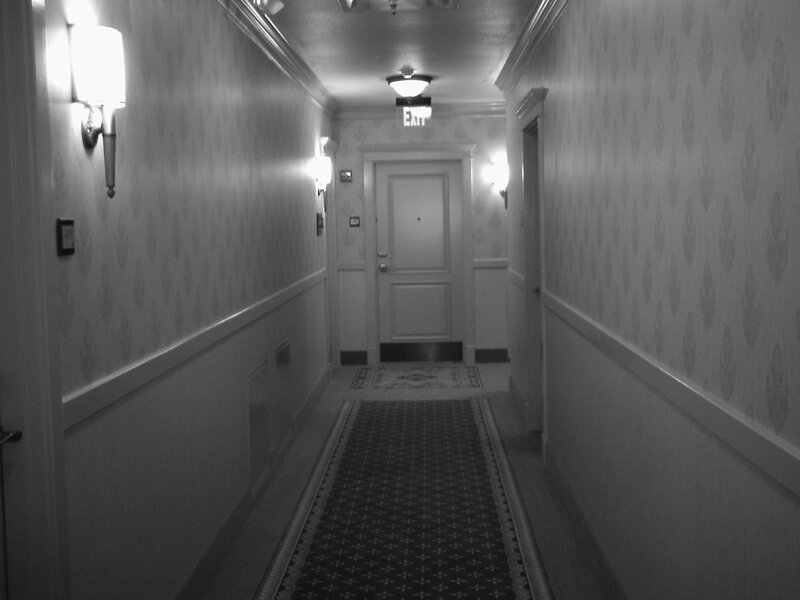 I captured a very soft EVP saying, “excuse me” while looking at the area around the elevator. It was a polite spirit. 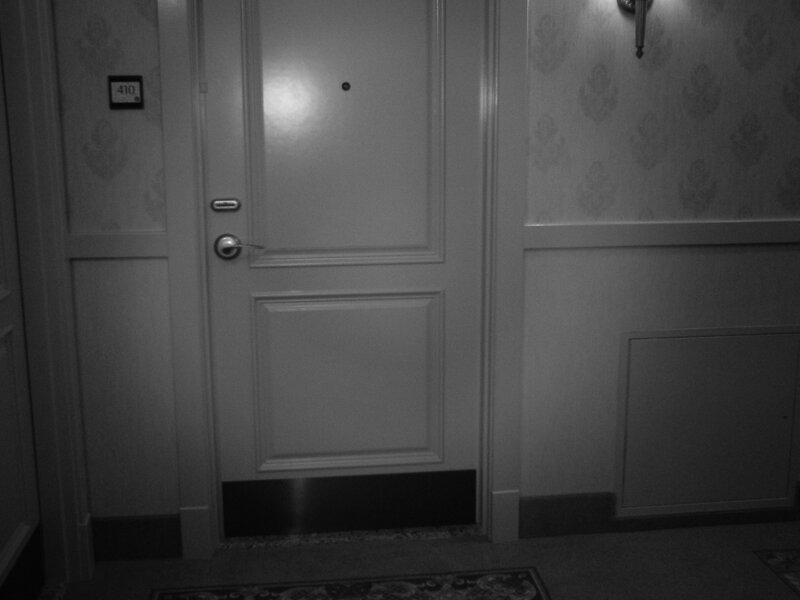 “Excuse Me” EVP captured by the elevator. You will need to listen closely to hear it. Oh my gosh, we stayed in room 410. It was so strange because sometimes when I would look at the alarm clock- it would read 12:00 and then re-set to the correct time. I kept telling my husband this, but he didn’t believe me. We stayed here for two nights and didn’t know it was a haunted hotel. I couldn’t sleep for the two nights we were there.